What is The Resource Connection Gateway? 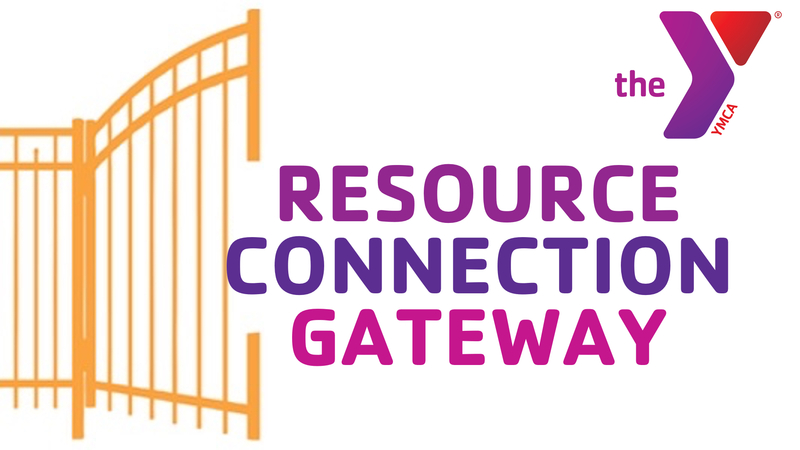 The Resource Connection Gateway provides a single connection point to resources to address these and other human needs. The Gateway extends a hand-up and not just a hand-out to anyone in need. Just enter the person’s name and contact number into the portal and they will immediately be called by a qualified, caring member of the YMCA’s chaplaincy team. How you you support the Resource Connection Gateway? The Gateway is funded by generous donations by individuals, houses of worship, businesses, grants, and organizations. Click the orange button below to make a gift to the Gateway! 100 @ $100 Challenge – We are looking for 100 people/organizations to accept the challenge to give $100/month! Anyone who approaches or calls your front desk seeking benevolence supports may be referred to our Resource Connection Gateway. All submissions immediately hit Chaplain Dwayne’s cell phone and the person will be called back within the same day to discuss how we might support them in their journey out of their current situation. What if the person does not have a phone? Virtually everyone has access to a phone. Sometimes a requestor may not want to provide a number in order to create urgency for you to help them on the spot. If they genuinely do not have a number you may enter their name and request into the GATEWAY and instruct them to call the chaplain the next day by dialing (704) 865-8551. This may seem a bit stringent but if we do not use the GATEWAY as intended we will do a disservice to people whose situations need more attention than a quick on-the-spot reply. What if they just want a few dollars for food, gas, etc.? There are many nearby places for people to get food. It is never advisable to give cash. It can create unsafe and/or uncomfortable situations. What if they don’t want to go the Salvation Army or they tell you it is already full? The Salvation Army is the single entry point for homeless people in Gaston to begin their journey toward recovery. Even if the Salvation Army does not have open rooms they have a formal waiting list process and they will always put the person on their homeless assessment and intervention list. What if the person says he/she is escaping domestic violence? Immediately offer the phone so they may call 911. Of course, if you feel unsafe, call 911 yourself. If they choose not to do that they may call the domestic shelter’s 24 hour crisis line at (704) 852-6000 but please ALSO enter them into the GATEWAY for follow up. Remember the GATEWAY is poised to serve everyone – not just those with crisis situations. In fact, our focus and specialty is people who are ready for a hand-up. 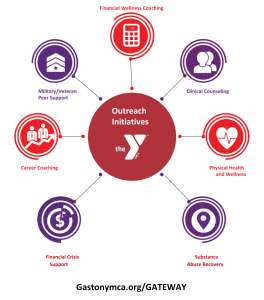 You may encounter people who desire counseling, career coaching, wellness lifestyle supports, financial coaching, or basic resource connection within the community. These are all people who can be served by a simple click and submission. 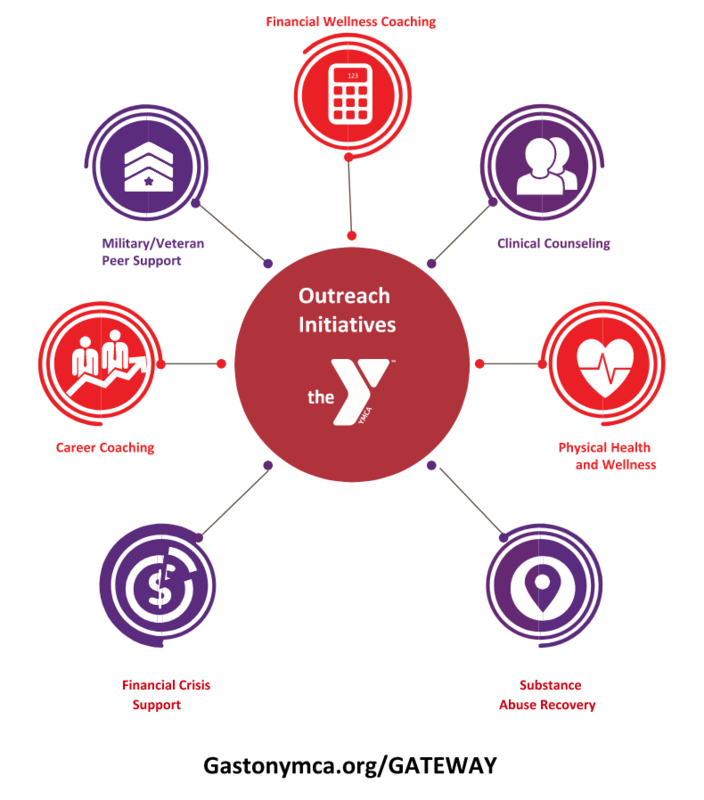 The YMCA’s Resource Connection Gateway initiative is designed to support our community’s houses of worship, crisis agencies, and other organizations by distinguishing true crisis needs and ongoing chronic dependency. Those in crisis are connected with our exceptional crisis support agencies. Those with deeper, long-term need are coached and counseled back to self-sufficiency. We are looking for dedicated volunteers to work with the Gateway! Please click here to indicate how you would like to assist. Click here for a Gaston Gazette article. Click here – Success Stories! For more information please contact Dwayne Burks at dburks@gastonymca.org or call/text 704.860.2957.